It is fairly well known across the world that surfing is a major pass-time for Australians. I grew up hearing about surfing and the fun culture attached to it. 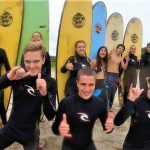 After spending a few days at Surf Camp Australia, I have begun to understand why people who surf seem to be happy and relaxed most of the time. I arrived to Wake Up! 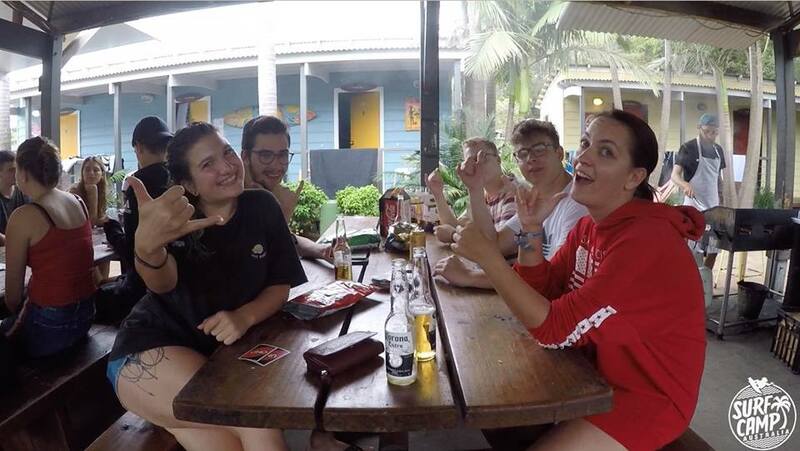 hostel Friday evening and met a large group of backpackers and students from EF language school. We got on a coach bus and rode down to Gerroa where the camp is located. Once at camp, the staff gave a quick talk about what to expect out of the. There were two groups with different schedules so that not everyone was in the same place at once. I went up to some staff and started introducing myself and they were all very nice happy to have me there. We went for a short walk over to seven-mile beach, which under the moonlight was absolutely beautiful. The first morning, I woke up early to get ready for the day before going out surfing. 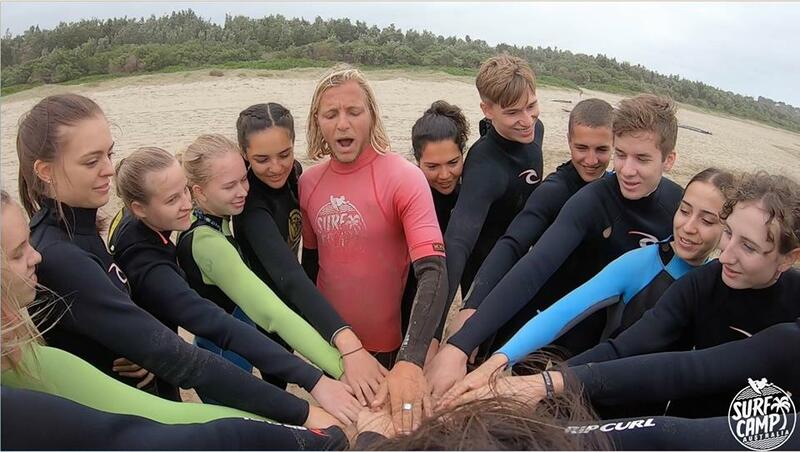 After a while of relaxing with some of the staff, we all got our wet suits on and hit the beach. 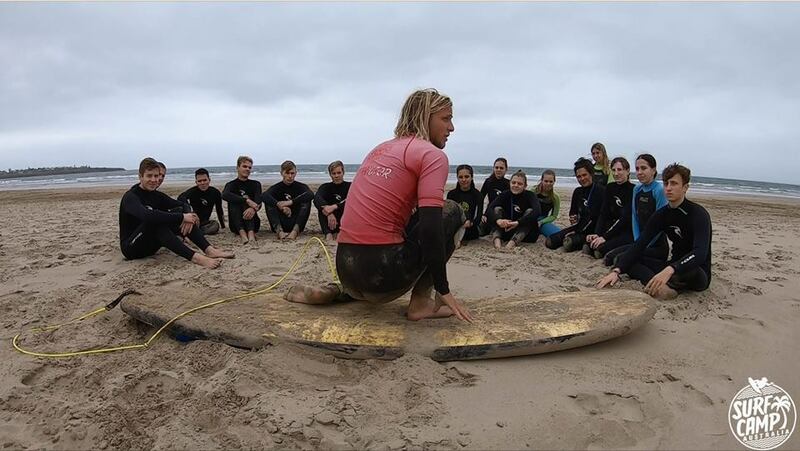 The instructors went over some basic safety rules to follow while surfing and we practiced how to stand up on a board while still on the beach. 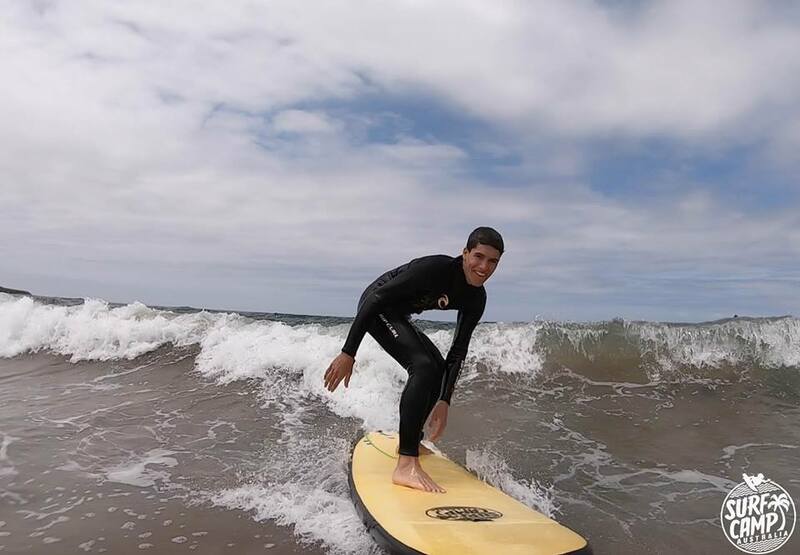 We then started our way to the water and I tried surfing for the first time in my life. 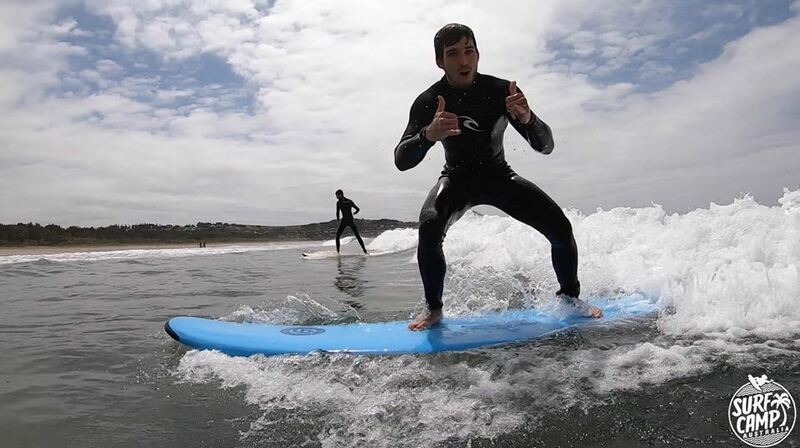 It was a little challenging trying to catch a wave, but when I did there was a rush of excitement throughout my body. 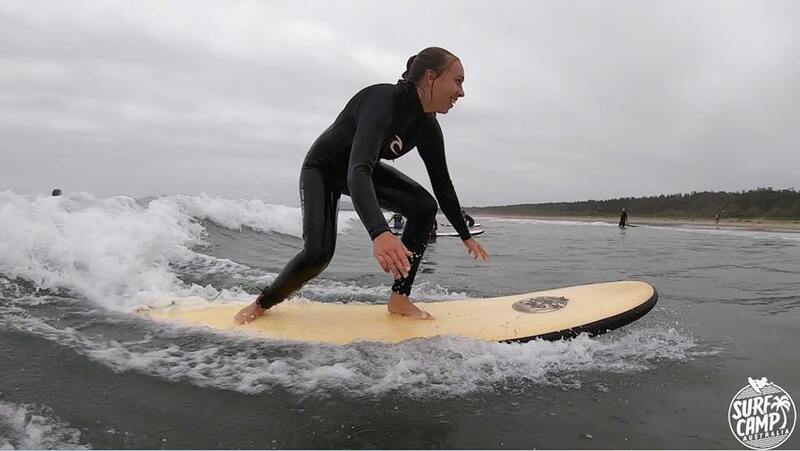 After a few attempts, I began to get better at standing on the board as it glided along the waves. During our next lesson, we reviewed the basics of how to before once again heading out to the water. I caught a few warm up waves to work my way back into the groove on the water, but quickly got back to how I was doing in the previous lesson. The rush of excitement every time I got a little better left me absolutely amazed. It was like a perfect balance between adrenaline and tranquility. That evening we sat down for a nice meal and watched some photos taken throughout the lessons of us all learning to surf. There were some very good pictures, and some that might be best deleted, but everyone had a good laugh. Following that, the group went out to a local pub where we danced and bonded over the night. The next morning group time slots switched so I got to sleep in a little longer, which was very nice after the pub. The waves the second day were much calmer to surf. We spent a longer time on the water, but it felt shorter because everyone was having so much fun. It was clear to see that everyone had greatly improved since our first lesson. People were beginning to stand and ride with much greater ease and smiles were everywhere. The end of the weekend came around and we all had our last meal before leaving. One of the camp managers went over some vouchers everyone got for various discounts at stores and we all got our bags before heading to the bus. Everyone looked out the window as we drove away from the beautiful beach and talked about our experiences. One by one, people started falling asleep on the ride back, a clear sign of a fun weekend.